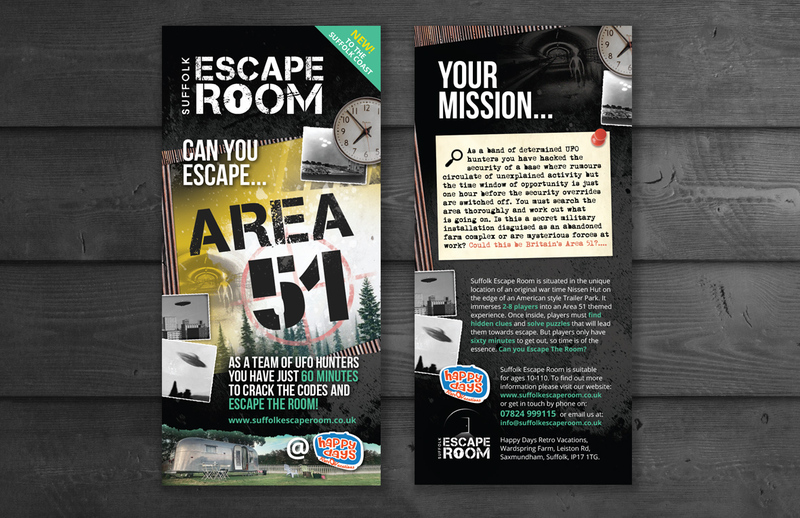 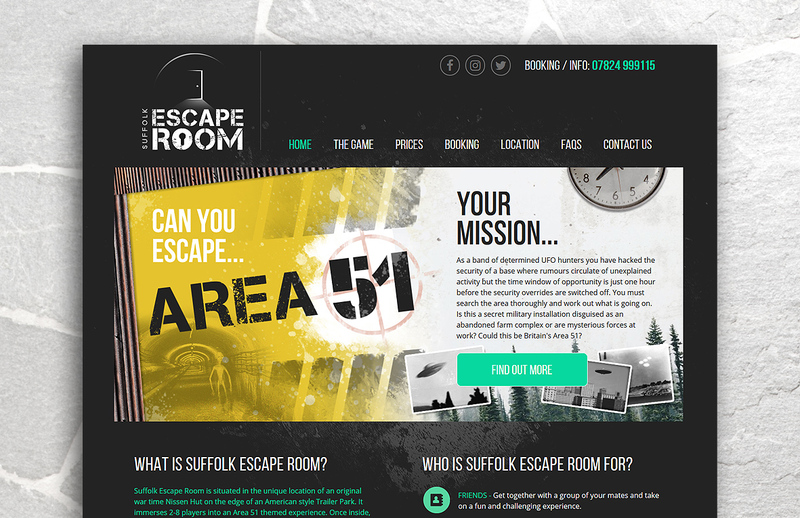 We designed the logo, created the brand style and designed and built the website for the Suffolk Escape Room based in Saxmundham, Suffolk. 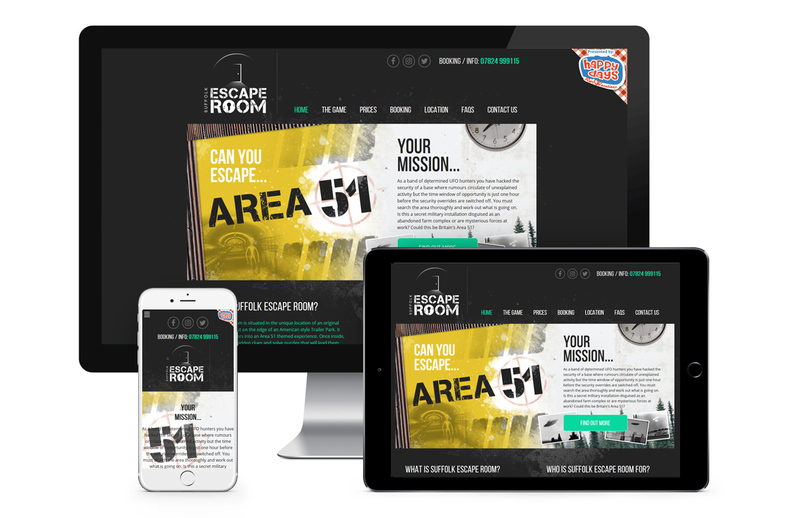 The website is built onto the wordpress CMS with responsive views for mobile devices. 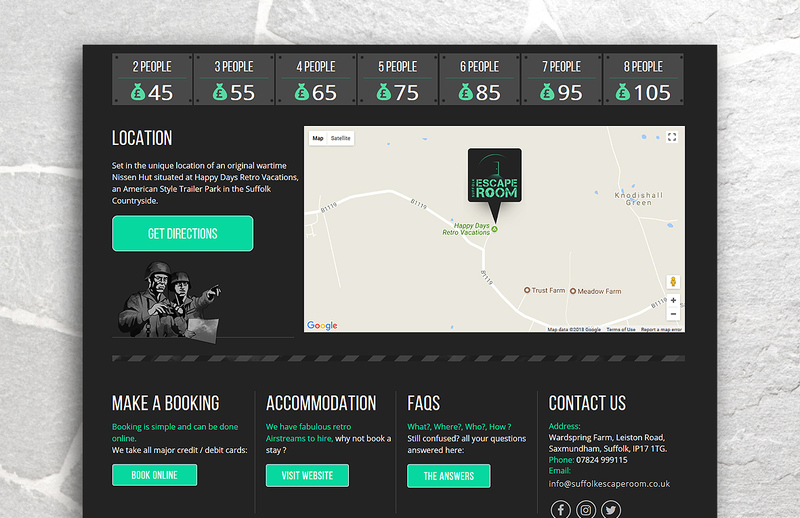 It also features an online booking facility.